Possessing a beautiful and natural look has never been so easy as finding your favorite lace front wig style at UNice. One reason to wear lace wigs is that they can cover your hairline in a natural way, so you can always be confident that you're looking your best. 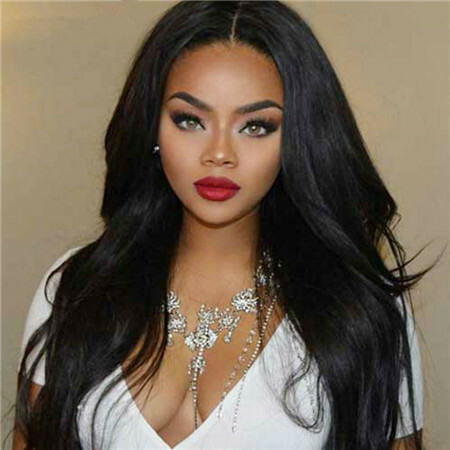 For the wig beginner there maybe a lot of confusion when they choose a wig.Such as frontal lace wig and full lace wig, It’s really not as difficult to understand once you read this article. 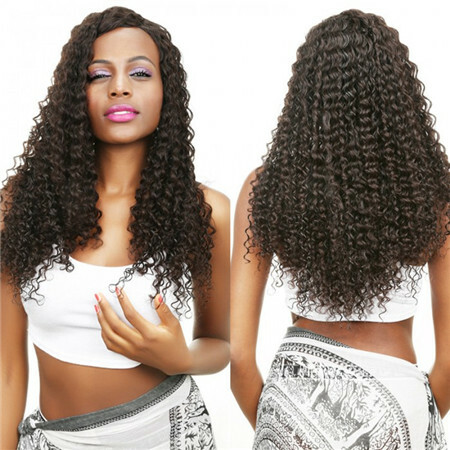 What are lace frontal wigs human hair? 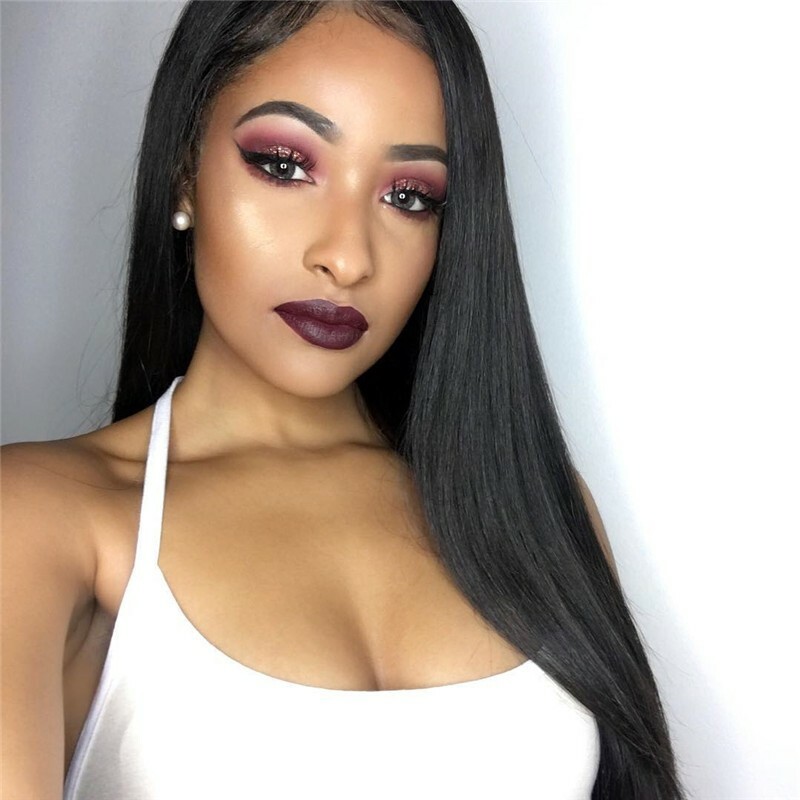 Lace front wigs or front lace wigs, they are extremely popular among people who wear wigs in general, because it will appear as if you have a natural hairline in front, even if you are wearing a front lace wig. Front lace wigs are so named because the sheer lace that makes up the wig is located in the front part (the part that rests on the forehead) of the wig,which always cut off just before the wig is installed. What is a lace front wig made? Lace fronts are wigs that have a small sheer lace panel along the front hairline attached to the front of the wig. The hair strands are hand sewn in to the holes of the lace. The rest of the wig cap is made out of a stronger material that will not tear as easily as the lace. Wearing lace front wigs is very simple because they are stretchy and cover the entire scalp area with a natural looking hair style. The finished product gives the illusion of a seamless hairline. 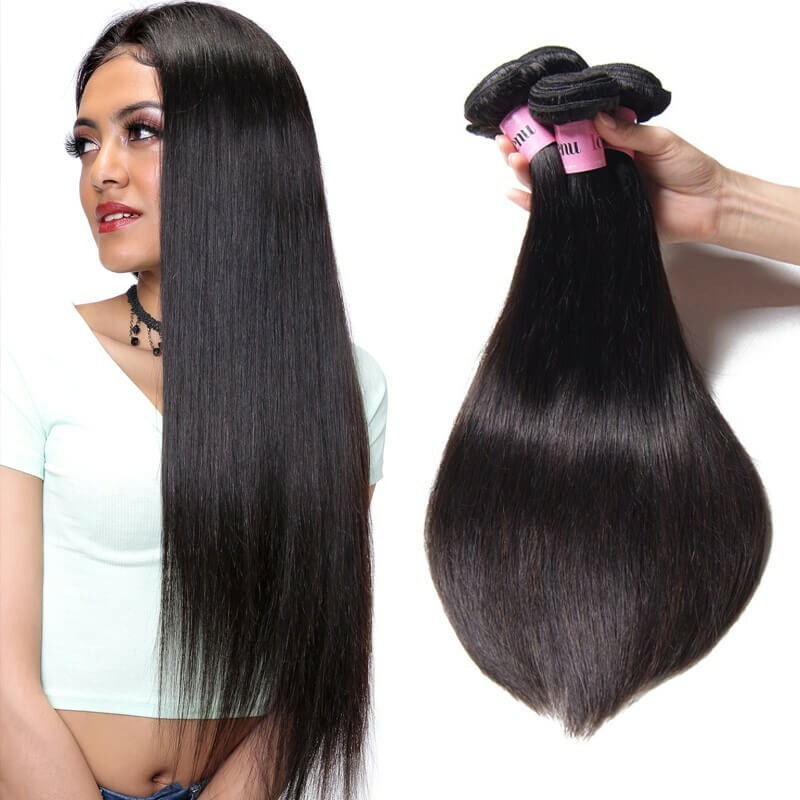 1.It is 100% Unprocessed virgin human hair lace front wigs, natural and healthy, no shedding and tangle-free. 2.The wigs has been bleached knot well with baby-hair, natural and pre-plucked headline, Hand tied 13*3 lace front. Middle hair make it simple but extraordinary. 3.Natural black color. Lace color: Medium brown. 4.Hair density:120% Lace Front Wigs. 5.Cap Size: Medium size default, small and large need to contact us in advance. Head circumference: Small one is 21.5 inch, medium is 22.5 inch and large is 23 inch. 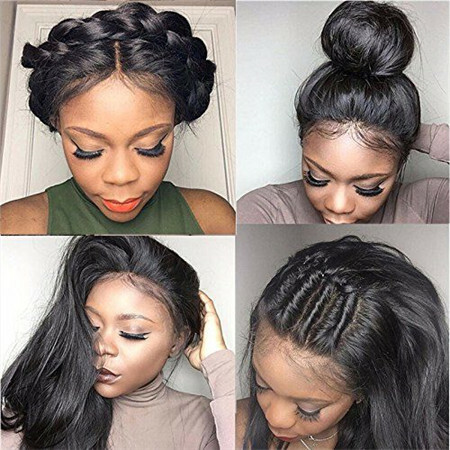 ◆There are many benefits of front lace wigs, the mesh lace used in the wigs provides for natural looking partings in the hair. ◆These wigs also offer natural looking hair at all times, and they can be textured according to preference. ◆Buyers can opt for a straight, wavy, or curly look and can alter between blonde, red, black, and brunette. They can also choose between various lengths that range from short crop to full length. ◆Another advantage of front lace wigs is that buyers can repair them easily,besides,lace front wig you can part anywhere. ◆One of the disadvantages of the front lace wig is that it cannot be styled easily since the lace is only in the front half of the wig. If it is pulled into a ponytail, it will be obvious. ◆Front lace wigs also require periodic maintenance and typically have a short lifespan of about six months. 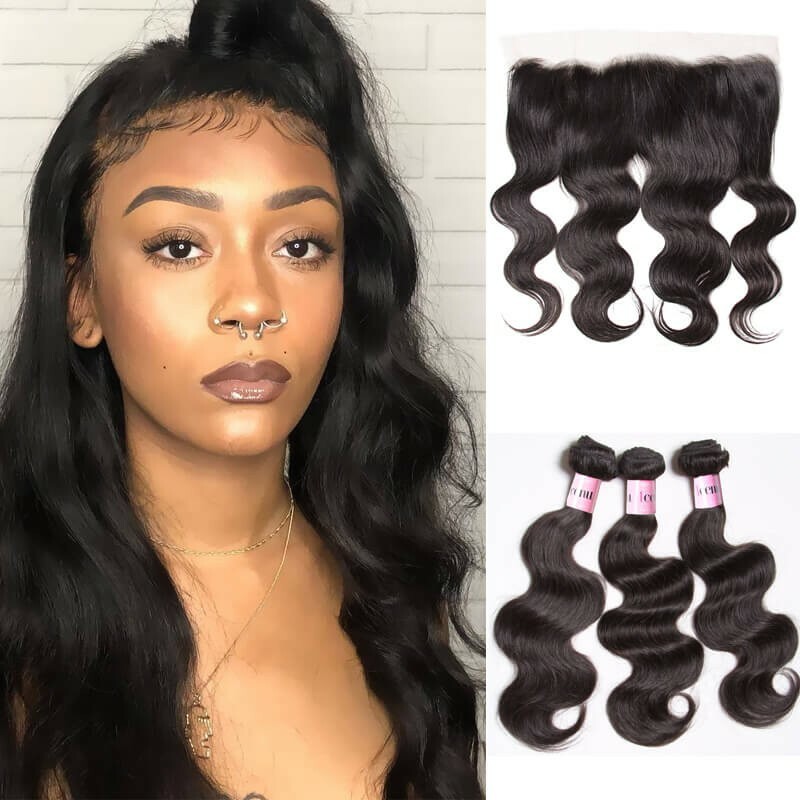 ◆Full Lace Wigs" are lace wigs which are designed with the entire wig cap being made from lace allowing for style versatility including multi-directional parting and the ability to style high up dos and ponytails. 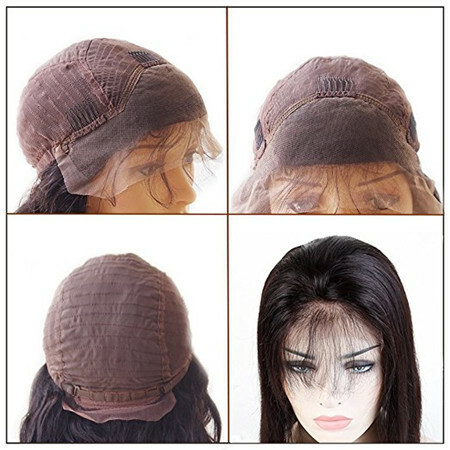 ◆"Lace Front Wig" or Front Lace Wig only has lace in the front of the wig and the remainder of the wig is made from a regular netted wig cap. As a result, Lace front wigs have limited style possibilities. Can I part my lace wig and where can lace wigs be parted? Full Lace wigs can be parted anywhere on the cap! If you are covering your hair, the trick is to have your parts look natural by either wearing a stocking or wig cap that is close to your skin's color. How long will lace wigs with baby hair last? Human Hair Lace wigs generally last anywhere from 3-6 months depending on care and how often you wear it. 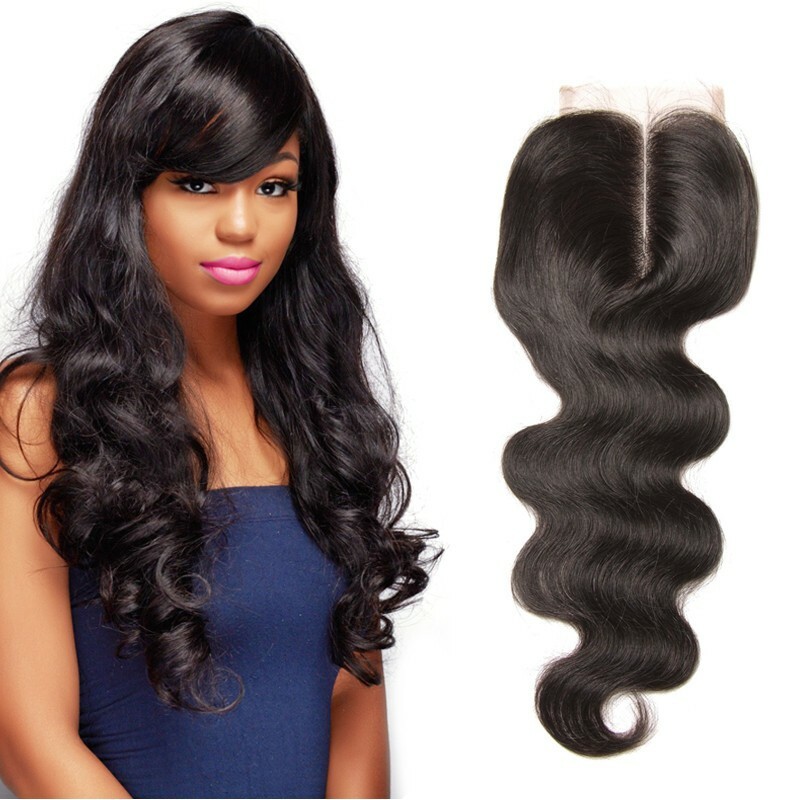 Virgin hair lace wigs generally last from six months to one year, also depending on care and use. How to apply a front lace wig? ◆When applying a front lace wig, buyers should place a flesh-toned wig cap over their hair to situate the wig, and then begin by cutting the lace to ensure a perfect fit. ◆Next, the wearer should mark where they want the wig to sit on their forehead before applying the hair. ◆The area around the hairline must be prepped and cleaned to remove dirt and natural oils so that the adhesive will properly adhere to the skin. 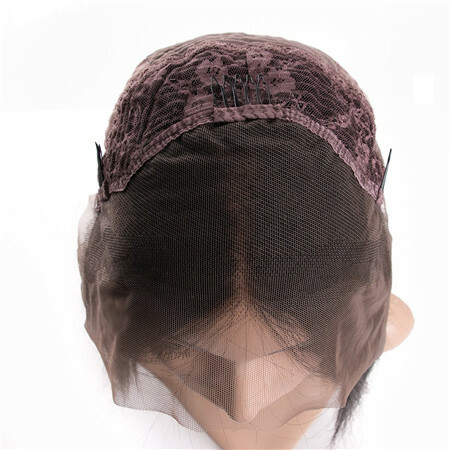 ◆Buyers should also consider purchasing a scalp protector around their head where the lace will be applied. Adhesive should then be applied to desired areas before placing the wig on a person's head. 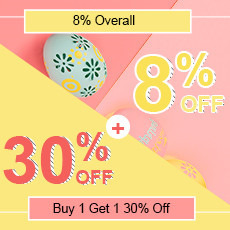 ◆Front lace wigs work wonderfully the way they are, but you can also opt to buy a monofilament (mono) lace front wig which provides clients with an even more realistic look that they will surely appreciate. ◆Monofilament wigs are wigs that are made by hand tying each strand of hair into the crown of the wig. This allows the mono wig to be much more breathable at the crown and it also helps the wig lay flatter against the head giving it a more natural look. 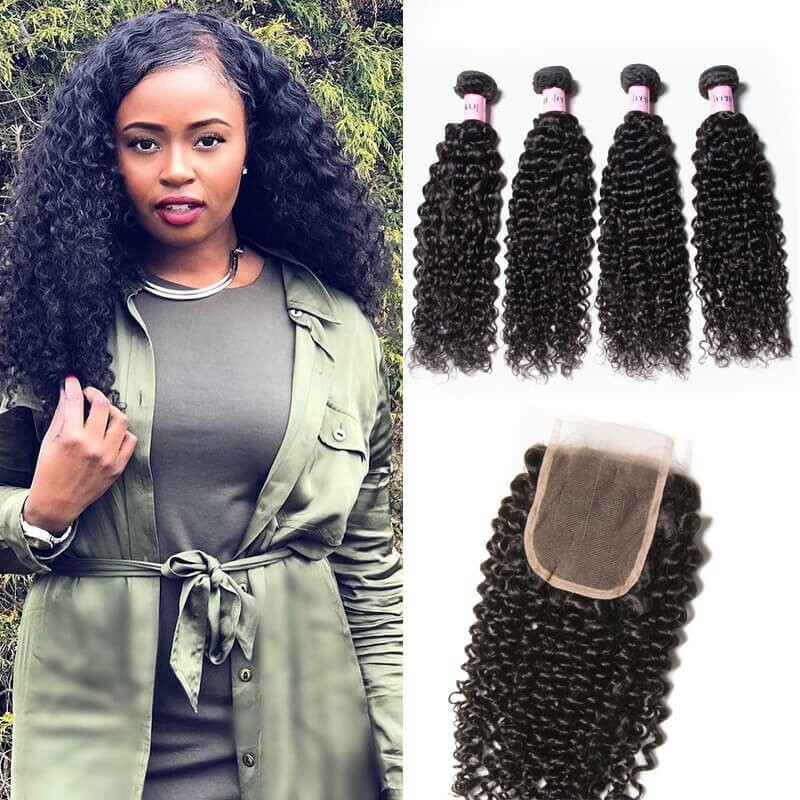 Where to buy 100% human hair lace wigs? ◆Ready to wear 100 human hair lace front wigs are the best because the lace doesn’t have to be cut or customized. It is so simple and gorgeous. ◆People that wear lace front wigs can participate in all sorts of activities without worrying that their wig will be detected. ◆These wigs will stay in place and look like the person’s natural hair even when they are swimming or involved in a physical activity such as tennis or jogging. Indeed, lace front wigs are the way to go! 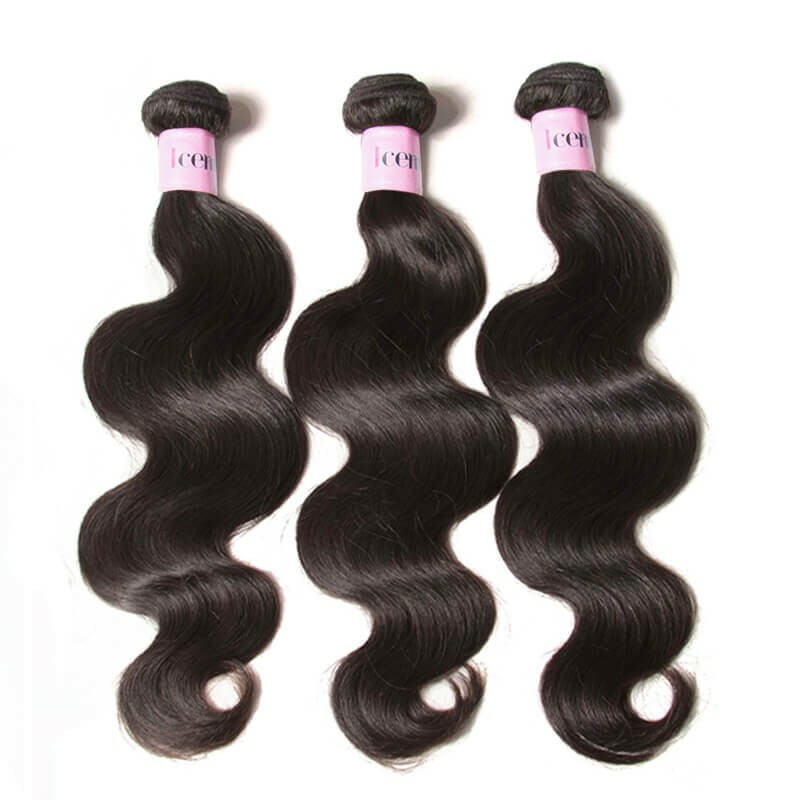 They are available in UNice hair company. How much are lace front wigs? The price of front lace wigs tends to vary based on the type of wig that it is. Human hair lace front wigs are usually more expensive than synthetic front lace wigs. Our lace front wigs are priced between $49.3 to $196.